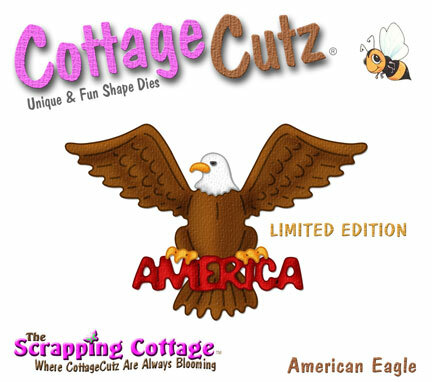 I just received the limited edition July 4th release from Cottage Cutz. Since it's a limited edition I'm not sure if I will be able to re-order, so make sure you get yours in the first wave. I also received another shipment Taylored Expressions July 4th ala carte stamps! These are perfect for your 4th of July cards.